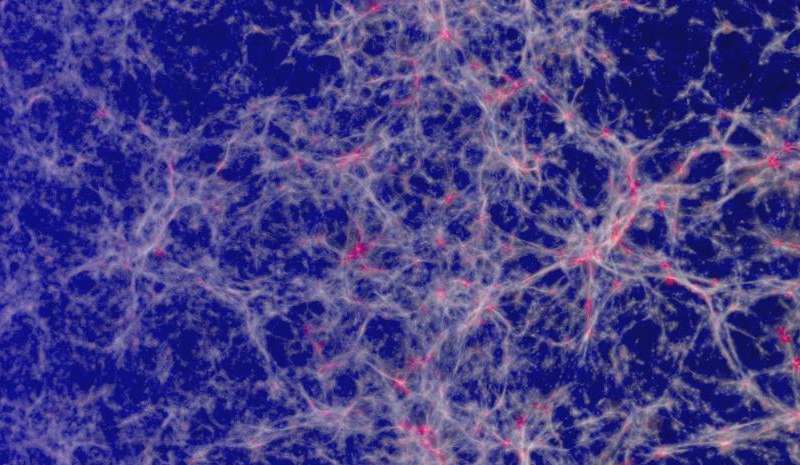 Scientists led by Durham University's Institute for Computational Cosmology ran the huge cosmological simulations that can be used to predict the rate at which gravitational waves caused by collisions between the monster black holes might be detected. The research is being presented today (Monday, June 27, 2016) at the Royal Astronomical Society's National Astronomy Meeting in Nottingham, UK. It was funded by the Science and Technology Facilities Council, the European Research Council and the Belgian Interuniversity Attraction Poles Programme. The study combined simulations from the EAGLE project - which aims to create a realistic simulation of the known Universe inside a computer - with a model to calculate gravitational wave signals. As eLISA will be in space - and will be at least 250,000 times larger than detectors on Earth - it should be able to detect the much lower frequency gravitational waves caused by collisions between supermassive black holes that are up to a million times the mass of our sun. Lead author Jaime Salcido, PhD student in Durham University's Institute for Computational Cosmology, said: "Understanding more about gravitational waves means that we can study the Universe in an entirely different way. "These waves are caused by massive collisions between objects with a mass far greater than our sun. "By combining the detection of gravitational waves with simulations we could ultimately work out when and how the first seeds of supermassive black holes formed." 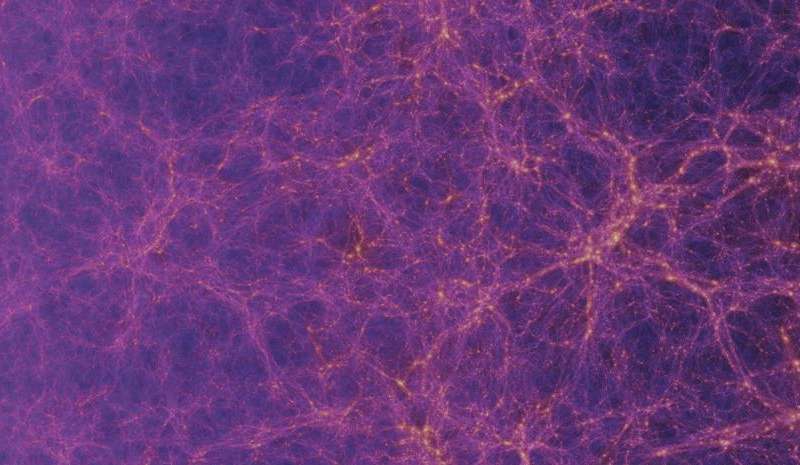 Co- author Professor Richard Bower, of Durham University's Institute for Computational Cosmology, added: "Black holes are fundamental to galaxy formation and are thought to sit at the centre of most galaxies, including our very own Milky Way. 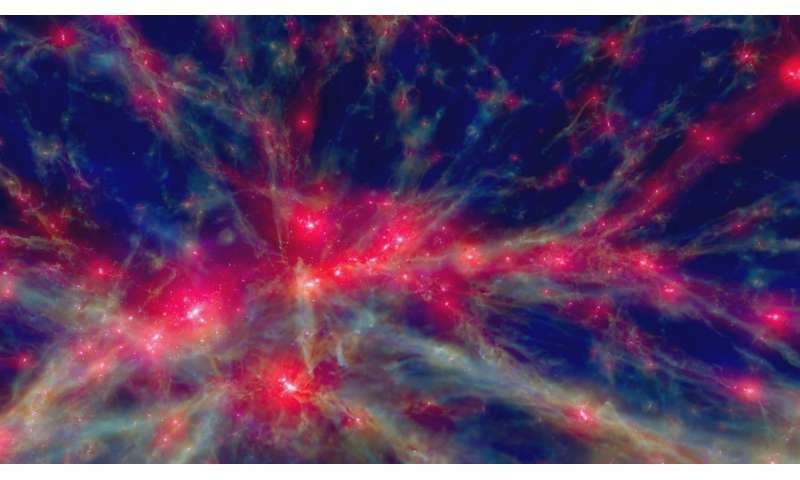 "Discovering how they came to be where they are is one of the unsolved problems of cosmology and astronomy. "Our research has shown how space based detectors will provide new insights into the nature of supermassive black holes." General relativity is ambiguous? What part of it, specifically, are you having trouble with? We are by now deep in the grips of classical pseudoscience here. You speak for yourself. All the troll spew isn't the least bit gripping for critical thinkers. If you want a more complete understanding of the much bigger picture of the dynamics of black hole jets, you need to include magnetohydrodynamics (both positively and negatively charged particles) with the relativity. "The black hole, as Wheeler originally visualized it, sucked everything -- including light -- in. And so, therefore, it was invisible. So, he could postulate its existence, and we couldn't see it. ... we couldn't prove that it wasn't there. Later on, in order to explain these fantastic emissions of energy from galaxies, it was proposed -- and I believe it was Stephen Hawking who did it -- that there were various types of black holes, some of which actually then spat matter back out again in jets -- because why? Because we had observed jets." Don Scott is either an idiot or a charlatan. No serious physicist has ever claimed that the jets come from within a black hole, but rather from the twisted magnetic fields that accumulate around a spinning black hole. Hawking radiation came about not as an explanation for jets but to reconcile extreme gravity with thermodynamics and quantum mechanics. The smallest black holes are postulated to produce the most power from Hawking radiation (even a black hole as small as the mass of the Moon will absorb more cosmic microwave background radiation than it will emit as Hawking radiation) whereas the biggest, most monstrous black holes can sport the biggest jets. They are simply different phenomena and it's very telling that neither Don Scott nor HannesAlfven/Chris_Reeve/plasmasrevenge is aware of the difference. Sure, and the obvious answer is it appears that it should, because the simulation matches observation very well, and more importantly it helps explain the observed Fanaroff-Riley morphological dichotomy of supermassive black hole jets as a function of the galactic core mass and radius which together yield a "critical power" above (or below) which the jets are stable (or unstable). Why fluids-based? Because it's the dynamics of matter moving in a magnetic field and in this situation the ambient medium (the ISM) is not solid. The flow of matter modifies the field – the equations for field and dynamics are coupled. I have no idea if CR's extensive quotes are from DS's work, they're the only poster I have on ignore. In such cases the whole phenomena is a HYBRID case involving both gravity and plasma/electro-magnetic forces (as I have been pointing out to everyone for years now). So assuming that the Black Feature Jets system have no 'extension' involving central region 'flow-throughs' (within the overall 'sphere' of surrounding space event horizon) is only just that at this juncture...an assumption. So at this juncture it's best to avoid source/reputation based 'certainties' and just concentrate on both the known mainstream science/versions as well as any alternative versions which may be reasonable according to what we know so far about both GR and QM possibilities. "With so much ambiguity in the definitions of these constructs, and so few constraints applied by the domain itself, this approach will lead to the proliferation of yet more popular nonsense. We are by now deep in the grips of classical pseudoscience here." Exactly. The Babylonian shamanic anti science which rely exclusively on endless conjuration mantras and consensus implemented by ancient but restored in these days Rоman pagan voting system. Black holes are non existing never seen in physycal reality fictional highly speculative mathematical objects. Like dark matter and energy representing dark cult in shamanic society.